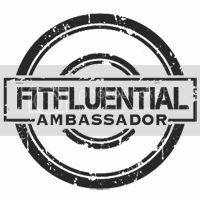 Do you remember reading about my partnership with FitMapped? I'm so excited to be sharing this BRAND NEW TOOL SweatSync with all my Philly Yaffies (If you're in Chicago, NYC, Boston or Los Angeles, you can participate too)! I often encourage people who want to reach specific health and fitness goals to increase their level of accountability by becoming part of a group, and this can be the perfect way to do just that! Sweat Sync is a tool to motivate fitness seekers and encourage them to maintain their fitness routines through a social platform. Through this platform, you will be able to see friend’s fitness activity, plan workout meet-ups, compare fitness ‘scorecards’ and find other fitness enthusiasts who share the same fitness interests. In addition, you will still be able to search for fitness entities through FitMapped. The goal is to help you stay motivated and maintain a healthy lifestyle. The concept is available to residents of NYC, LA, Chicago and Boston, and NOW PHILADELPHIA! It's super easy to sign up and get connected. Just START HERE! Once you've signed up, login to SweatSync. Now that you're signed up and logged in, you can view you stream. This view gives you a snapshot of your account. Your calendar is where you'll add your workouts, allowing your to set a schedule and schedule a meet-up with a fellow fitness enthusiast. Earn badges for logging your workouts, friending other fitness enthusiasts and writing reviews! Write reviews to help spread the word about your favorite place to sweat! Then read the reviews your friends write! I can't wait for everyone to create a profile, tell us where you sweat, and start planning your sweat sessions with your social circle. Don't forget to add me as a friend! Research demonstrates that social support is a strong indicator in helping people achieve long-term weight loss or weight maintenance. Is your favorite place to sweat not listed on FitMapped? Comment below and we'll get it added ASAP!